Assessment at our BUFORD Location! Our programs ensure the right combination of protein, carbohydrates, fat, fiber and essential vitamins and minerals that your body needs for optimal weight loss success. Our customized weight loss solutions allow blood sugar to maintain normal levels, thus stimulating certain fat burning hormones for optimal fat loss. Our flexible meal plans increase metabolism and energy, decrease body fat, prevent muscle loss, and enhance the glycemic control. You will eat three meals per day of fresh food items to ensure proper nutrition while losing weight. Our programs are successful because each plan is customized for each individual. You are a unique individual and your body requires a unique nutritional formula for healthy and effective weight loss. 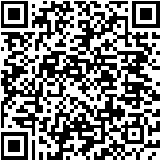 We can show you the way to healthy and effective weight loss that works for your body and your lifestyle. 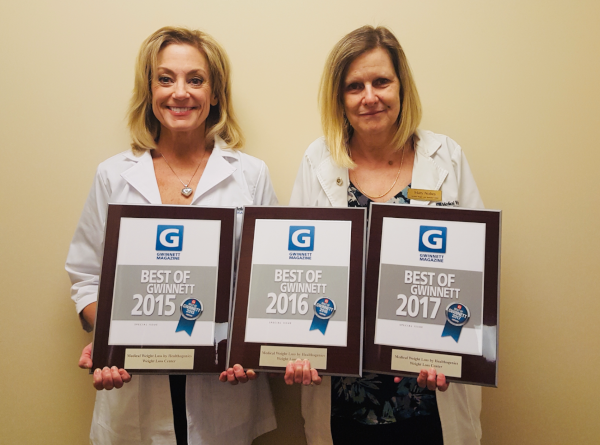 Look Who Won Best of Gwinnett! 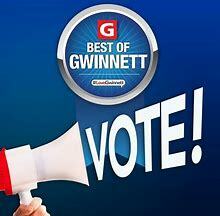 We've nominated for Best Weight Loss Center in Buford and Lawrenceville locations for Best of Gwinnett! We thank you for your votes!